as well as the AVON Skin so soft oil spray that i have told you about, you could also try this tip... buy some pure peppermint oil, put in a squirty bottle with some water &amp; spray this all over, it makes you smell like extra strong mints, but the Mossies hate it!! also Limon cologne. I have been told that cintrinella oil can also be used in this way . Your a pet and thanks for the advice everything that I have used in the Chemist including stuff that SAS etc use doesnt work on me. So again thanks all the advice is really welcome. Have you ever tried those tablets which works witk electric. You can have great sleep if you connect one of them to the plug. Mozzies hate tea tree oil! I always take the 'teatree and mint source' shower gel and deodorant and up to now have never been bit. You can buy it from any supermarket and they even have a website! It doesn't make you smell funny so don't worry! Sorry..I am going crazy! I have already posted that message so please ignore it!! ha ha I thought I had, but then looked and it wasn't there! ( I now I posted it somewhere else!) sorry again...I think I need some sleep!!! Come on Sue, there are not much mosquitos as you think. They never bite me. It might be from the location of the hotel you are staying. If there was only one mosquito in the whole of turkey it would get a plane/dolmus/taxi andfind me and bite me. Vivakusadasi if there is nothing that i am more sure of is that every f****** mosquito in turkey is madly in love with me and i wish they werent. Any way thanks for all the advice everyone and now I only have 2 weeks to go and I am so excited. i don.t if i mentioned it on this sight if your living in turkey ,go to garden centre and get a plant called melissa . i can,t remember the full name, it apparantly grows like clematis and ivy. i havn.t tried it yet. but i was told when you go into bars and restaurant..i was told that it was the plant they put on the tables. i think the locals call it "megri" can anybody confirm this , but when i come over in may i wiil try it anyway because last october was unbearable, but i think that is because . people that was suppose to clean our pool did.nt. and that is a breeding ground, also anywere wet or damp they love it. good luck with the mossies cheers jonno. 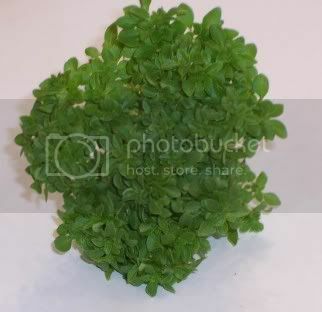 A lot of the restaurants & bars have Basil (the herb) called Reyhan or Fesleğen in Turkish dotted around the outside (also found in & around turkish homes. I never really noticed this planted around Kusadasi, but i did see it when i went out of the tourist areas, planted in big pots outside Lokantas. Hi all. I also suffer from the blighters mossie magnet i am, does any one know if the Aqua fantasy resort is plagued by them. We went to Corfu last year and we were eaten alive, please tell me Kudasis isnt as bad as corfu for mossies? Im going in september any replies will be appreciated bless ya. i very rarely get bitten while im in Kusadasi, but im not sure if that is beacuse i cover myself in the avon skin so softy spray, or that there just arnt many mossies about.